Assam is boiling. Boiling over an overtly communal bill brought in by a communal regime aiming to polarise society. The bill got the nod of Lok Sabha on January 8, a day before a hastily prepared report was submitted by the Joint Parliamentary Committee (JPC). The report was prepared by a Committee, (the majority members belong to the ruling BJP) by brushing aside all alternative opinions and was based on surmises and conjectures. The organisations opposing this Bill have raised a number of issues, three of which are fundamental to the whole debate. The organisations opposed this bill on the ground of unconstitutionality as it goes against the secular spirit of the Constitution, which according to the Apex Court, is part of the basic structure of the Constitution. It was/is argued that the Indian Constitution does not envisage citizenship on the basis of religion and any attempt to do so will militate against the constitutional values. The second argument against the Bill was/ is that the state of Assam is not in a position to take the burden of more migrants, after accepting a large population of migrants as an integral part of its society. In this regard, reference was made to a statement given by the then Union Minister of State of Home before the Parliament, while answering the debate on Citizenship Act (Amendment) 1986. In his statement before the Parliament, he had categorically declared that the migration of people from neighbouring countries is becoming an economic burden for our country and the country is not in a position to take the burden of more people. 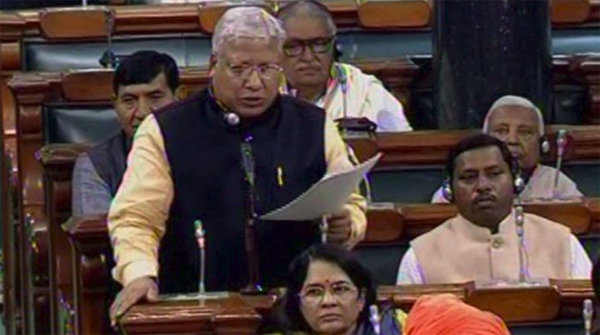 Thirdly, it was pointed out to the Committee that the Bill in question violates the Assam Accord which fixed the cut off date for detection of foreigners in Assam as March 15, 1971. The central government, through the proposed amendment, had unilaterally changed the cut off date without the consent of the people of Assam, on whose behalf All Assam Students’ Union (AASU) signed the accord on 15th August 1985. The JPC, however, refuses to take note of first two arguments at all as revealed by the report and so far as the third issue is concerned, the Committee dealt with in a perfunctory manner. The JPC is dominated by members belonging to ruling dispensation, which had taken a predetermined approach from the very beginning and the report itself bears proof of it. The report eloquently states in the beginning about the power of ‘the state’ to regulate grant of citizenship and nobody has any dispute with that. But, the issue is the basis of granting of such citizenship. The report quoted a number of statements made by various leaders, including Late Shyama Prasad Mukherjee at different points of time, to buttress the argument in favour of granting of citizenship to people belonging to certain religion (mostly Hindus and minus Muslims). It is interesting to note that the Committee conveniently refrained from referring to the fact that Constituent Assembly unanimously rejected the proposal to grant citizenship of the country on the basis of religion (Hindu). In the Constituent Assembly debate, while participating in the debate on citizenship one P Deshmukh, a member from Bombay proposed an amendment in following words: ‘Every person who is a Hindu or Sikh by religion and not a citizen of any other states wherever he resides shall be a citizen of India’. Arguing in favour of such an amendment he said, ‘in the second sub-clause I have proposed that I want to make a provision that every person who is a Hindu or a Sikh and not a citizen of any other states be entitled to be a citizen of India. We have seen the formation and establishment of Pakistan. Why was it established? It was established because the Muslims claimed that they must have a home of their own. Here we are an entire nation with a history of thousands years and we are going to discard it in spite of the fact that neither the Hindus nor the Sikhs has any other place in the whole world to go. By mere fact that he is a Hindu or Sikh he should get Indian citizenship because it is one circumstance that makes him disliked by others.’ (Constituent Assembly Debate, Second Volume, Lok Sabha publications). The aforesaid amendment was discussed by the Assembly and after thorough discussions, the Constituent Assembly rejected such an amendment. The Assembly overwhelmingly rejected the amendment on the ground that a secular Constitution cannot make provision for religion based citizenship. This argument although, specifically made before the Committee did not attract the JPC’s attention. Rather, they shifted the narrative to a direction which suits the government, by quoting statements of different leaders selectively and out of context. Had it been the intention of the Constitution makers to go for religion based citizenship, they would have accepted the amendment of Deshmukh itself. But that had not been done and JPC conveniently overlooked it. The JPC did not even discuss the second issue raised against the Bill. Apparently they did not have any answer to the said argument, advanced with facts and figure. So far as the third issue of the Bill being violative of Assam Accord is concerned, the report of the JPC was evasive. The Assam Accord was a contract between the people of Assam and the Union Government. Over the years, a consensus has been evolving in Assam, cutting across political and social divide and the progressive sections of Assam’s society is trying to create a new social contract based on the Accord. This is precisely the reason why the overwhelming majority in Assam is supporting the ongoing process of preparation of NRC. But the instant Bill, by proposing to give citizenship to a class of people entering Assam after March 25, 1971, has unilaterally amended the Assam Accord. Secondly, through the Bill, the Union Government is pushing the state to the brink of social unrest by disrupting the delicate social balance sought to be maintained by the people. Interestingly, the officials of Department of Legal Affairs while deposing before the Committee, unambiguously admitted that the proposed Bill contradicts the Assam Accord (page 61 of the report of the JPC). But neither the official witnesses nor the JPC could offer any justification for bringing a Bill which is going to disrupt fragile peace in Assam. Rather the Committee, to justify the Bill, hide behind Section 6A of Citizenship Act, 1955, which has nothing to do with detection and deportation of foreigners. On the other hand, there was no material available before the Committee suggesting religious persecution of Hindus in Bangladesh, except a vague statement by government officials. The official witness belonging to Ministry of Home Affairs in their deposition had stated that ‘the Government of Bangladesh was committed to protecting and preserving the rights of minority groups in their country and ensuring their security. However, there have been violent incidents impacting the minority community in Bangladesh in the past.’(Page 48 of the Report of JPC). Can such vague statements be the basis of a Bill which sought to nullify the very foundation of the Constitution?! This Bill is neither humanitarian, nor as innocuous as claimed by its proponents. This Bill is an attempt to give legal sanctity to the idea of ‘Hindu Homeland’ of ideological mentors of the ruling BJP and the report of the JPC was prepared to serve the said objective. This report needs to be rejected and fought against tooth and nail.